Earlier this year, our Reality TV President precipitated a government shutdown over a wall that his own party’s Senate Majority Leader Mitch McConnell called a “metaphor,” the latest in the long line of myths and symbols that have shaped American political and cultural debates. The most prominent new member of Congress, Alexandria Ocasio-Cortez, curates her image on social media while opponents seek to use a college video to undermine her, 21st century parallels to historical campaign imagery from Tippecanoe to Dukakis in a tank. Some of the new Congress’s first proposed bills have addressed voting rights and disenfranchisement as well as statehood for Washington DC and Puerto Rico. Green Book, one of the most awarded and controversial films of the year, has sparked debates on how cultural works depict or misrepresent both individual figures and collective histories of race and racism. And multiple political leaders in Virginia (and beyond) have been linked to images of blackface, one of the oldest American cultural forms and a deeply troubling portrayal of African American identity. 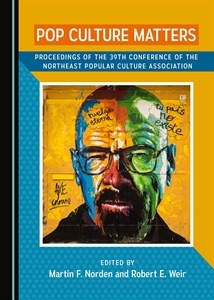 If one word unites these and many other issues, it would seem to be “representation.” So the 2019 New England American Studies Association Conference, to be held on Saturday, June 8 at Fitchburg State University, invites 250-word abstracts from undergraduate and graduate students, faculty from 2-year and 4-year colleges and universities, as well as artists, activists, and community organizers on any and all American and transnational topics, from all disciplines and fields, related to that central theme. We will consider individual papers, full panels, and/or other traditional or non-traditional forms of presentation. We will also consider abstracts on other American Studies themes and questions beyond those highlighted here. Please direct questions and submit abstracts to the NEASA Council at neasacouncil@gmail.com. The deadline for submission of abstracts is April 8, 2019.